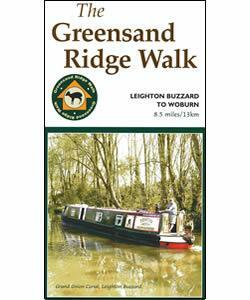 The Greensand Cycle Ride at Leighton BuzzardCycle RouteThe Greensand Cycle Ride is a cycle route along the attractive hills of Bedfordshire's Greensand Ridge. It follows mainly quiet country lanes with some more challenging, off-road sections as alternatives. The route runs between Leighton Buzzard and Sandy and can be ridden in either direction. Both towns can be accessed by train. Start Description The ride can be started from either Leighton Buzzard or Sandy if riding the whole route. The Greensand Cycle Ride is a cycle route along the attractive hills of Bedfordshire's Greensand Ridge. It follows mainly quiet country lanes with some more challenging, off-road sections as alternatives. The route runs between Leighton Buzzard and Sandy and can be ridden in either direction. Both towns can be accessed by train.